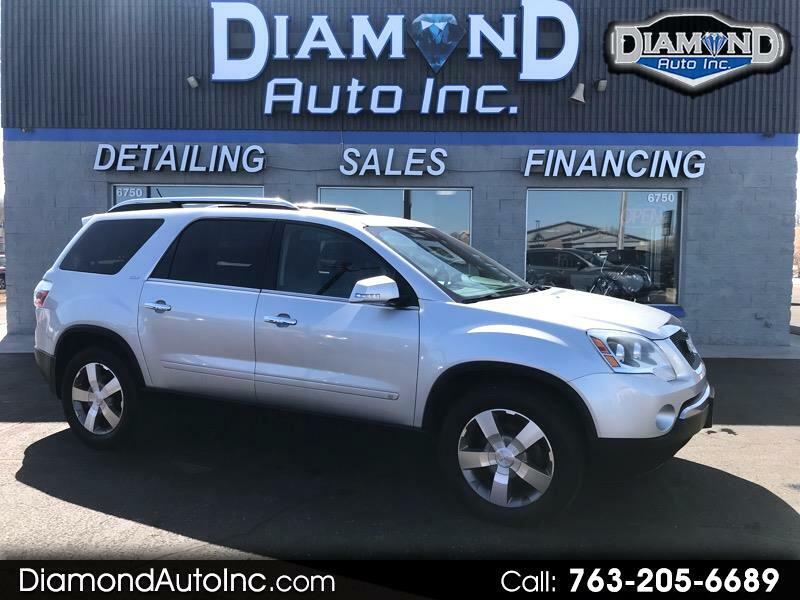 Used 2009 GMC Acadia SLT-2 AWD for Sale in Ramsey MN 55303 Diamond Auto Inc. THIS AWD SUV IS AWESOME, 2 SUNROOFS, TOUCH SCREEN, HEATED SEATS, THIRD ROW, HEADS UP DISPLAY SYSTEM, QUAD SEATING AND MUCH MORE!!!!!!!!! EXCELLENT SERVICE RECORDS INCLUDING REPLACING WATER PUMP!! THIS IS A GOOD ONE , DONT WAIT AS THE GOOD ONES DONT LAST!!!!!!!!!!!!! !